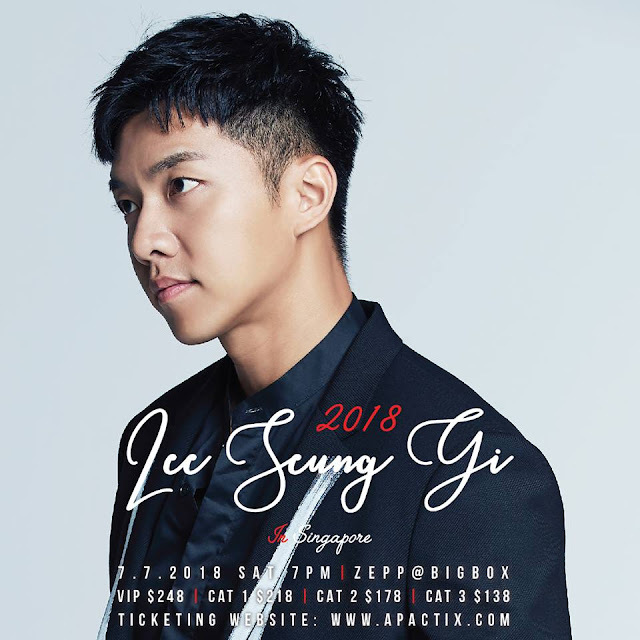 Singapore on 7 July 2018 to meet his local fans for the first time in 5 years. Odyssey”, one of the most-watched Korean drama series in recent months. number one hottest selling film and surpassed 1 million viewership in a week. Not just known for his excellent craft and delivery as an actor, Lee Seung Gi winning audiences with his wit and personality and as a Ballad King with popular hits such as Because You're My Woman, Marry Me And Reurn.